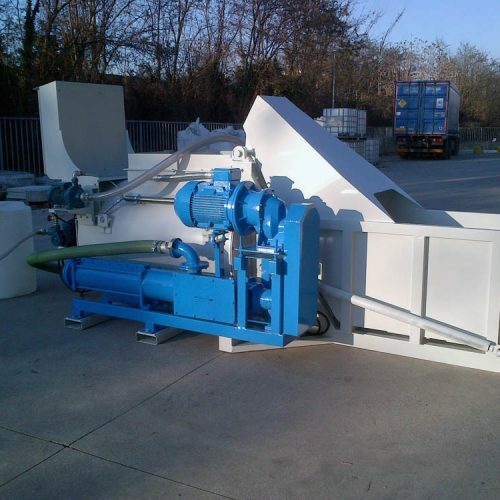 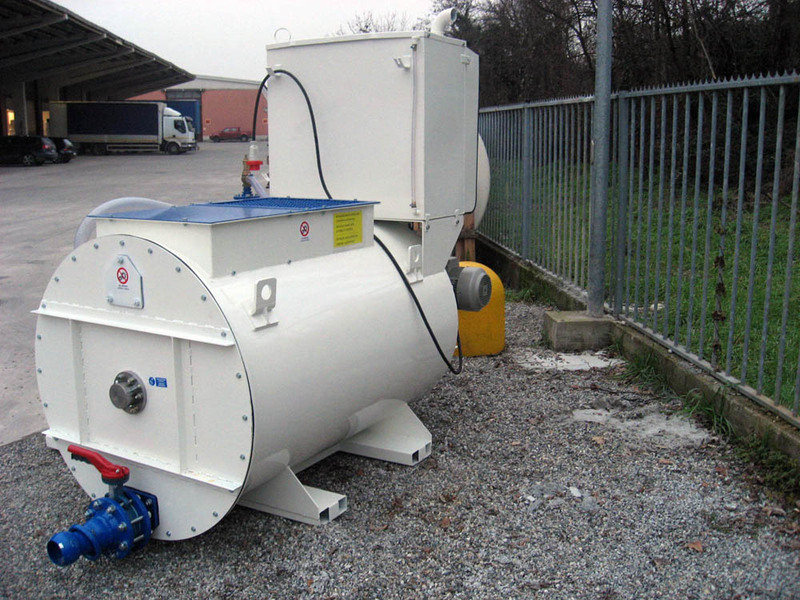 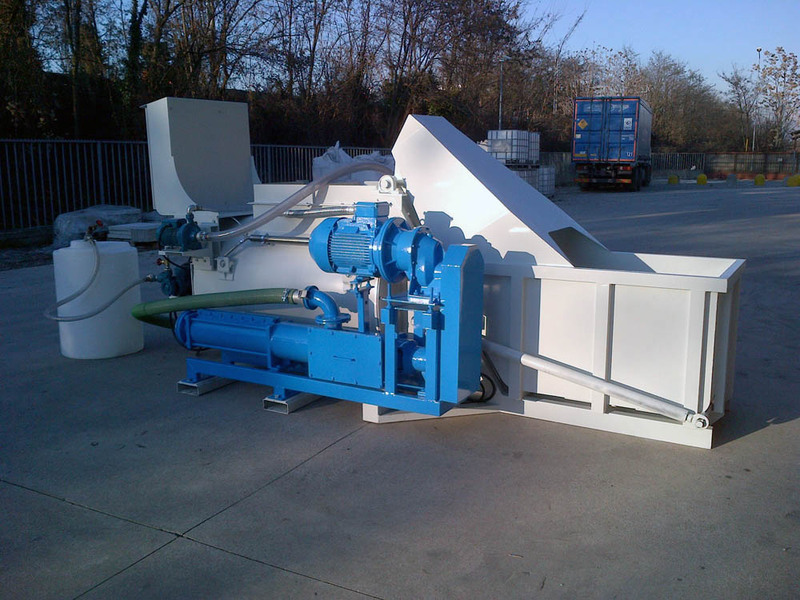 The IBS-08 machine for cellular concrete is a medium sized plant with manual loading which can be made automatic. 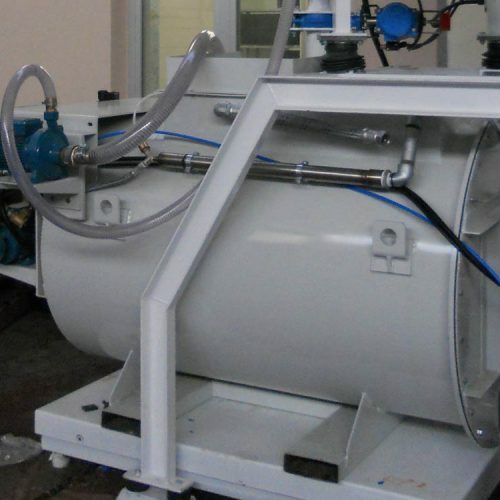 IBS-08 is a machine for production of cellular concrete blocks with average density sand, and is ideal for such processing because of its production rate of 7-10 m3/hour. 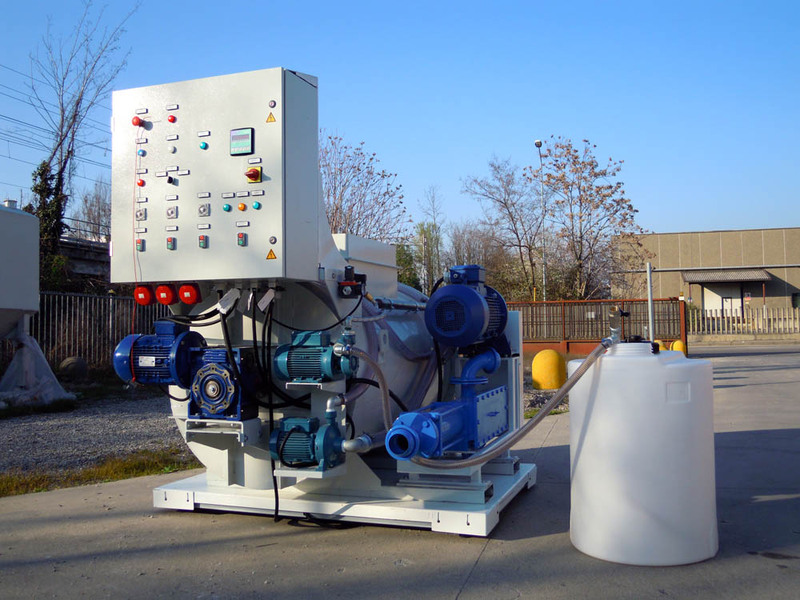 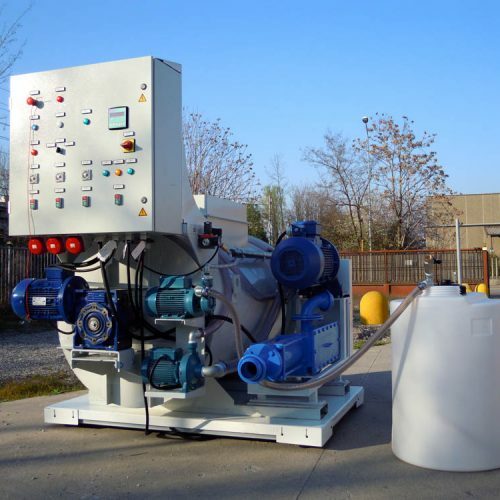 IBS-08 has a capacity of 950 litres and is equipped with a horizontal shaft mixer, a foam generator, a timed water pump for constant quantity, an additional 300 litre tank, an electrical panel and a 4HP air compressor. 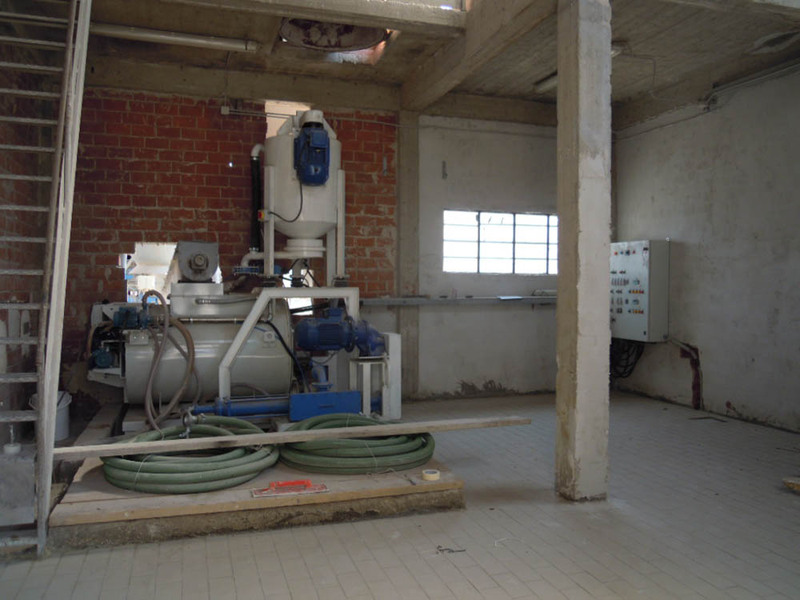 The foam, produced by a suitable generator, is transferred to the mixer through tubing, where it is mixed in with the concrete. 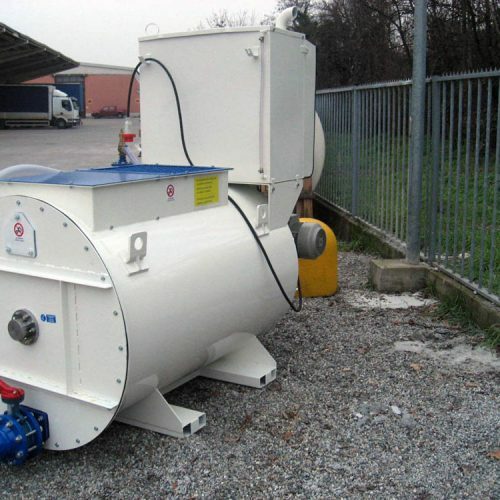 The mixed concrete is subsequently transferred to the formwork with a discharge pipe or a pump. 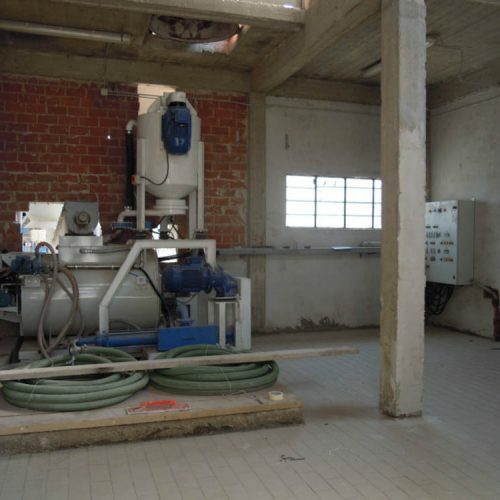 This is therefore a machine for production of cellular concrete blocks which automatically produces cellular concrete according to a pre-established density. 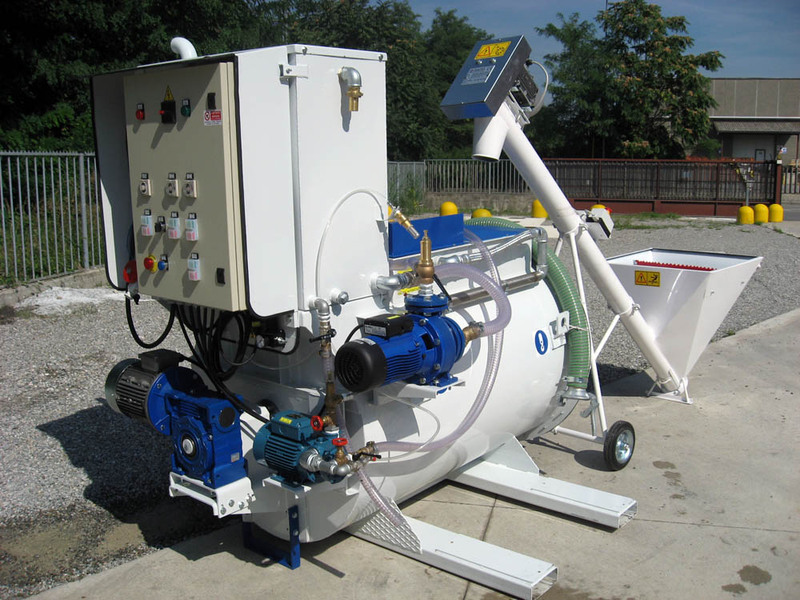 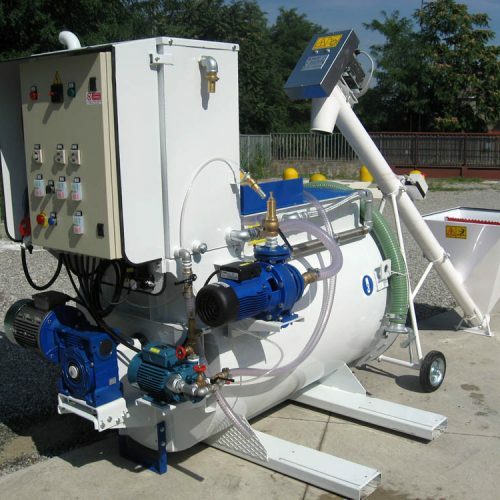 The plant, even if manual, can be partially or completely automated in that it is possible to arrange an automated slave plant around the machine for raw materials, with the aim of cellular concrete at an industrial rate without the assistance of specialized personnel and lengthy operations of adjustment before every session. 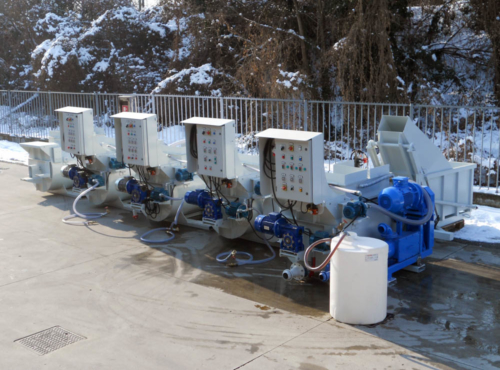 Once automated, the IBS-08 cellular concrete plant becomes the heart of production of a more complex plant. 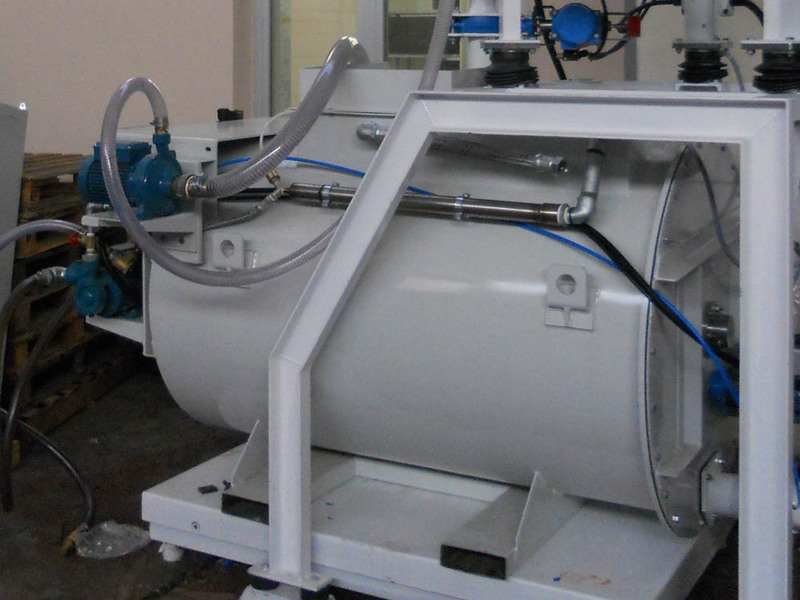 The IBS-08 plant furthermore, may be used for the production of Fluoplan, Increment D 1300 or on site casting.